Hilarious, high-energy kid's magician The Stupendous Mr. Magichead, also known as John Sullivan, a Massachusetts-based professional magician since 1983 - performing exclusively for children and their families since 1997, has earned his living for over 30 years traveling and performing funny magic! 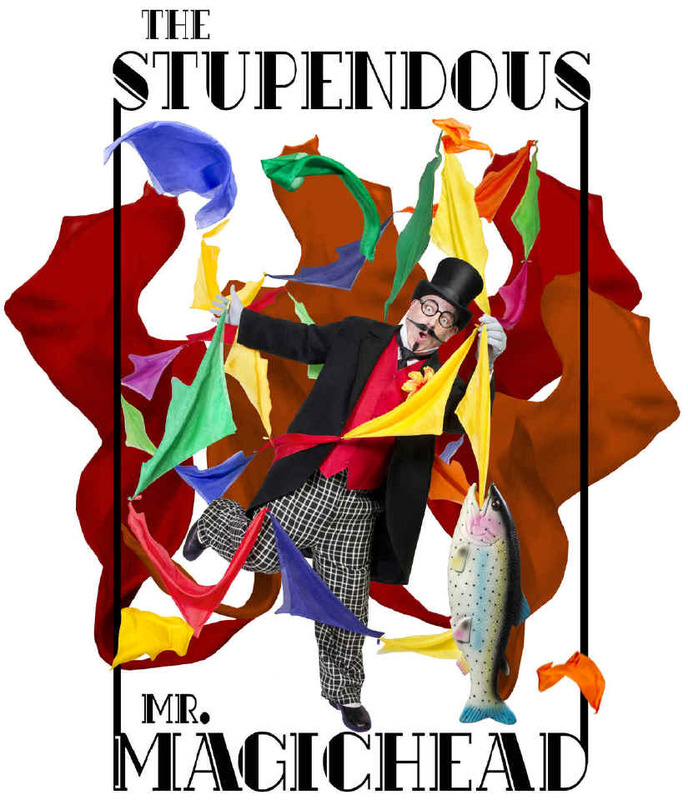 Appearing and disappearing to rave reviews at thousands of boffo family & children's magic shows to date, Mr. Magichead has achieved master status among kid's entertainers. With a wild & wacky magic show narrowly aimed at ages 4-9 combining physical comedy, and quickly-paced original trickery, this children's magician continues to travel near and far bringing laughter and amazement at hundreds of performances a year to kids of all ages at schools, birthday parties and family events in Massachusetts, Connecticut, Rhode Island, New Hampshire, Vermont, and Maine. "...had his audience in stitches..."
"...did a great job, had the kids laughing the entire time! ...it was really fun." The Mr. Magichead comedy magician show is ideally suited for kid's entertainment at preschools, elementary school assemblies, birthday parties and for hilarious family fun at libraries, Cub Scout banquets, Fairs, Festivals and Parks & Recreation events. Special magic shows available for Halloween/fall festivals, Christmas and Easter. 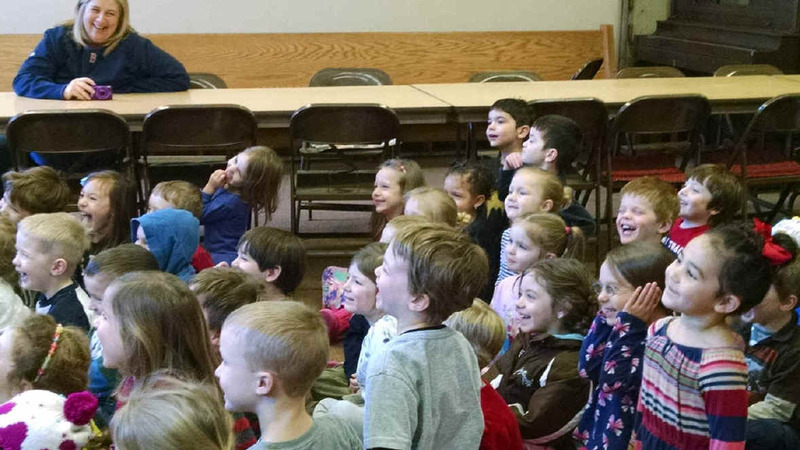 Wherever a group of kids ages 4-9 are gathered, including 1st communion parties, Baptism parties, 1st birthday parties, Purim parties, wedding receptions, YMCA events, JCC events and campground shows, children's magician Mr. Magichead is happy to be there! "Slapstick Magic Act Big Hit..."
"...amazed a huge crowd with his wild and wacky magic show..."
"...had the kids laughing loudly with his silly antics and physical comedy." "OMG!!! Did the kids enjoy his antics." Copyright © 2011 [John Sullivan]. All rights reserved.